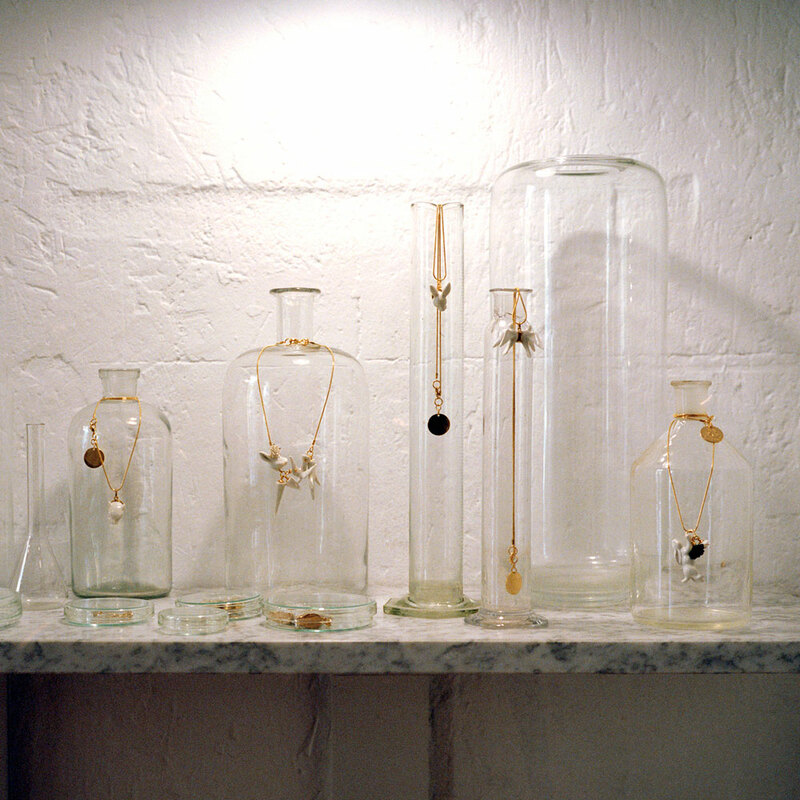 Andrés Gallardo and Marina Casal are the founders of jewellery and accessories brand ANDRESGALLARDO. 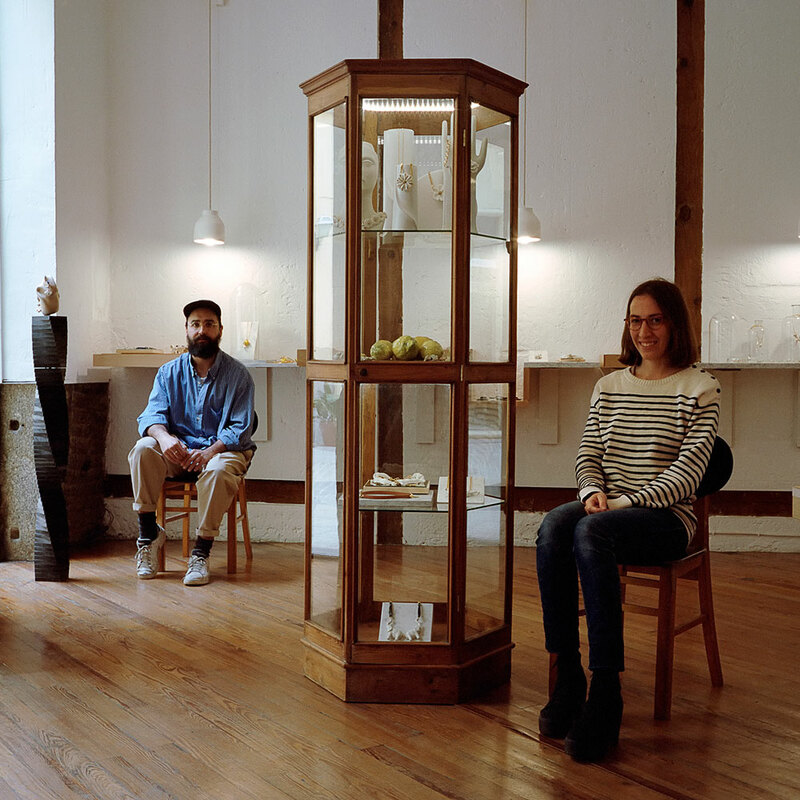 With no formal training in jewellery but a shared passion for artisanal production methods, Andrés and Marina established their own company in Madrid in 2011. ANDRESGALLARDO’s unique pieces are handcrafted in collaboration with Spanish and Portuguese artisans and have grabbed the attention of the fashion industry for its innovative use of found porcelain figures. Please tell us about your backgrounds. What did you do before founding ANDRESGALLARDO? Andrés: We have worked together for over 12 years – we met early in our careers at Don Algodón and we have been close friends ever since. 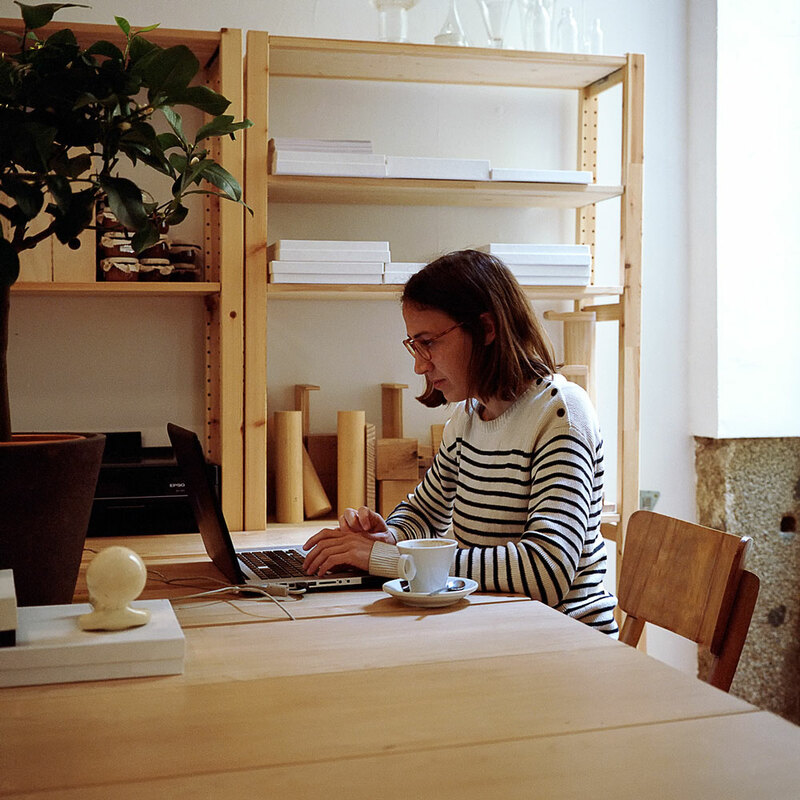 After meeting, I started working at Bimba y Lola and Marina became part of the design team at Duyos. We finally reunited as creative partners at Raasta where I designed garments and Marina was a textile designer. Marina: We were always exploring and developing personal projects asides from the day-to-day studio work. Andrés was always experimenting with fashion and I was doing graphic and packaging design. 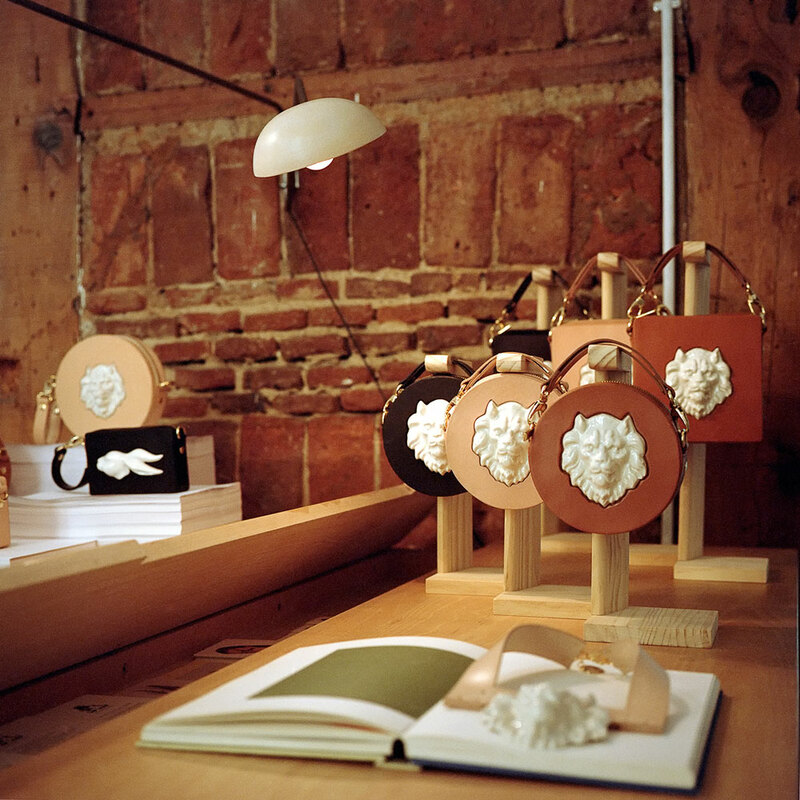 The broken porcelain pieces came to life from one of these ‘mini’ projects. Andrés: While we were working at Raasta, I created a series of pendants from old porcelain pieces I had collected from flea markets and antique shops. It was my intention to sell these amongst friends and acquaintances, but somehow these pieces gained the attention of stylists and stores in Madrid. I was overwhelmed, but Marina saw it clearly and rooted for me to start my own brand. I considered the idea but it seemed unnatural for me to work by myself – I wanted to share my point of view and to enrich it by someone else’s. That’s how I decided to ask her to join me in this adventure – we were both very excited and full of hope. At the beginning it seemed like a temporary project, but it came to a point where we had to make a decision and give it all in. And so we did, happily. What are your main roles at ANDRESGALLARDO? Who’s in charge of what? Marina: We are intertwined and work closely in every aspect. The creative process comes from a conversation of what we have seen, heard and found – each of our backgrounds and references come together and we make a decision on how a new collection will be different from the precedent. After agreeing on a ‘main idea’, Andrés focuses on the composition of the jewellery pieces and I work with suppliers on the development of each element that will go into the creation of the pieces. Andrés: At an entrepreneurial level, we also make all decisions together. We are at a point where everything happens so fast and there is so much going on that we have to follow our instincts and listen to each other carefully. As we often don’t have the time to analyse every aspect in depth, we work by intuition. 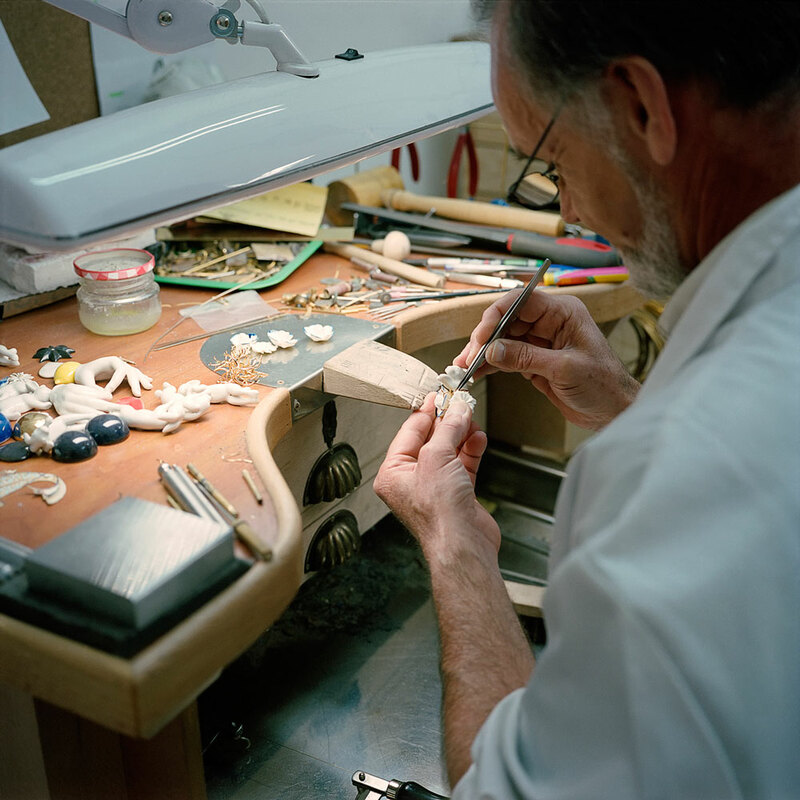 On your website, you mention that you had no formal jewellery training before starting ANDRESGALLARDO. What did you have to learn before designing your first pieces? Andrés: The creation of the first pieces was empirical; we have to be grateful to the team of artisans we have come to work with. They come from all backgrounds – jewellery, porcelain and leather – and their support has been key in achieving the kind of product we want. We started from a highly experimental product of which we wanted to keep some qualities, but after seeing some of our most admired designers at the first international tradeshow we ever participated in, we realised that we had to take a step up in the game and refine our pieces to be able to position our pieces like they did and as we wanted. We worked side by side with the artisans in achieving a higher level of refinement and keeping some of the experimental aspects that we love about our product, and we finally got the quality we were seeking for. Tell us a little more about your design process. What are the steps from coming up with a concept to transforming this concept into something physical? Marina: Most of the times the collection originates from the figures we find – we can’t create from nothing. We reshape and transform an existing figure to get a new one and to develop a story from it. At the beginning we would hammer the pieces, but we have now learnt about the tools we can use to control this process and end up with the pieces we desire. Andrés: We found a full new range of possibilities by working with artisans – these craftsmen have helped us to experiment with finishing, ornament, replication and even to create our own designed pieces, which eventually we end up breaking and dissecting to make new ones. 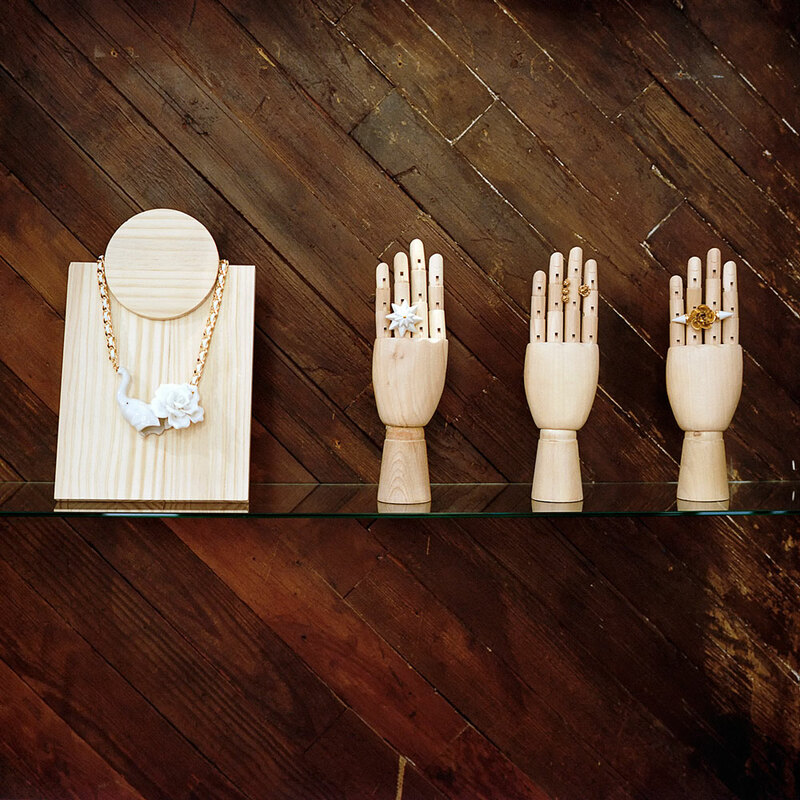 After having a badge of porcelain pieces, we start the creation of jewels as if we were creating a collage. We get so many stories from the combination of opposing figures: some pieces evoke contrasting feelings, some are like love stories, others turn out to be tragic and most of them are playful or magical. We like to think that they keep part of the life they had in their original form. You’ve worked with porcelain since you started ANDRESGALLARDO. What attracted you to this material? 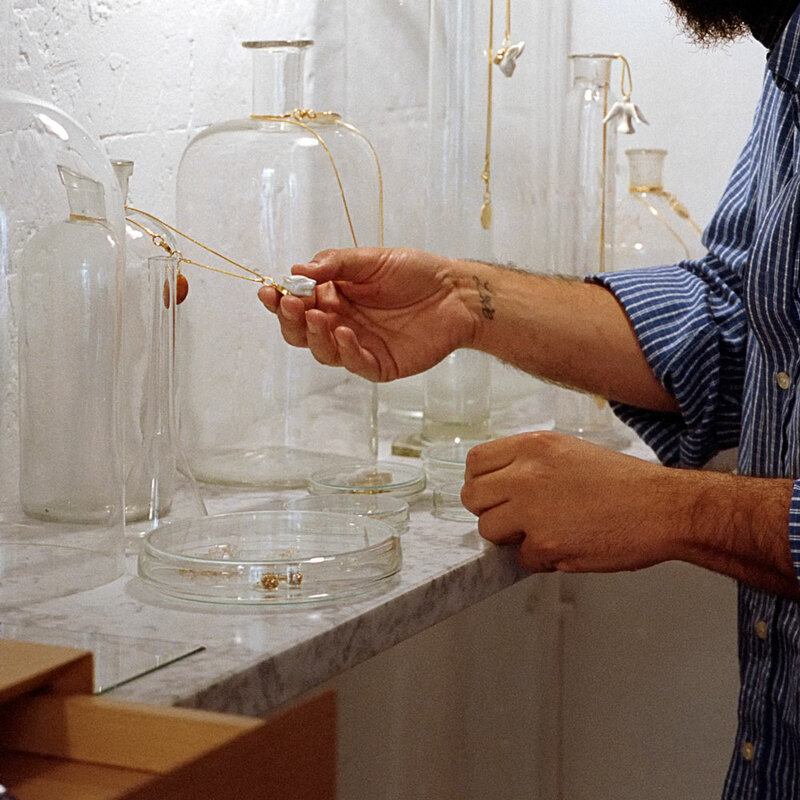 Andrés: Aesthetically, porcelain has always caught our attention. We look up to traditional porcelain houses like Sargadelos, of which we are collectors. We wanted to face the challenge of turning something antique and meaningful into a contemporary concept. But even with this idea in mind, our actual encounter with porcelain happened by chance when I found some vintage porcelain pieces at an antiques market in Berlin and took them with him to turn them into something wearable. What other materials would you like to experiment with? Marina: Porcelain has still a long way to go for us. We are only starting to know its particularities and possible uses, and we have recently started mixing it with leather in necklaces, bracelets and in our handbags. It was a happy experiment and we aim to keep finding new materials to mix with porcelain. 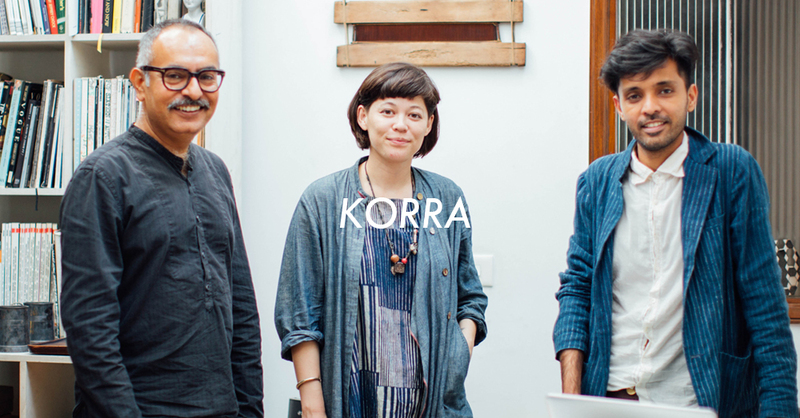 All of your pieces are produced in collaboration with artisans based in Spain and Portugal. How did you source the people you work with? How important is it for you to keep production local? 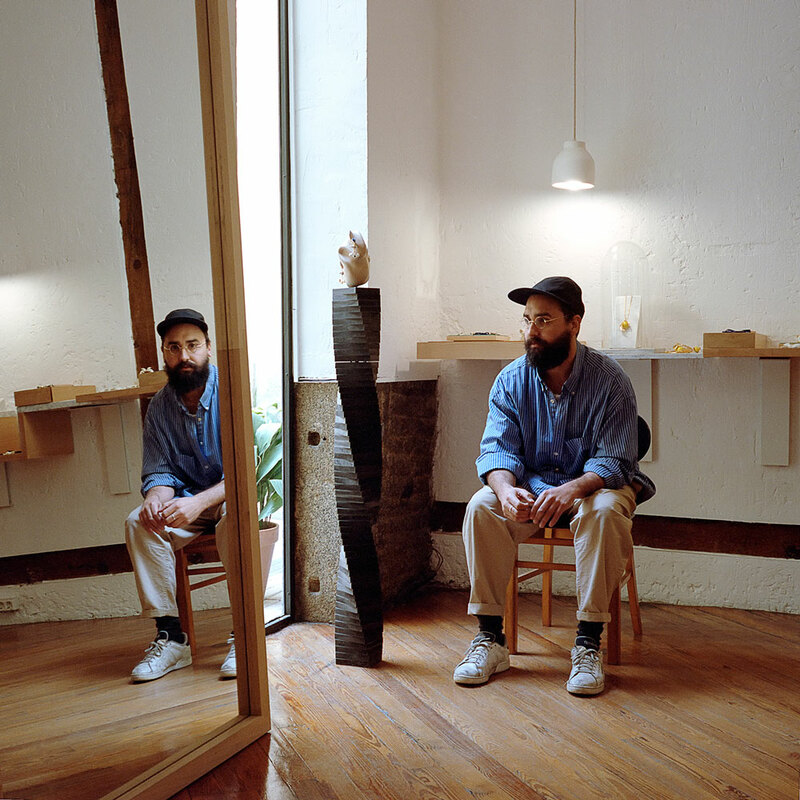 Andrés: When we started, we took a hands-on approach – we drove to Valencia and Portugal where we knew porcelain used to be made and we found that many workshops were closed down or were about to. We went door by door looking for someone with the aim of developing porcelain for this use, so distant from its original purpose. We found people who were interested in it and we’ve since worked closely with them. We also found a workshop in Madrid – we were lucky to find everything so close to us. As we were working on something so new, it was important to be nearby and be involved in the development. Marina: For the flowers, after buying hundreds of them in antiques shops, we did some research and found the traditional flower makers of Manises – women who have inherited the know-how from their families. There are a few of them and we are so happy to work with these small factories where the relationship with the manufacturers is so close. What are the main challenges of running a fashion business in Spain? Marina: The challenge is up to the expectations of each brand. In our experience, it seems that the international recognition is more difficult to obtain and the institutional support is scarce, but there are very important benefits. 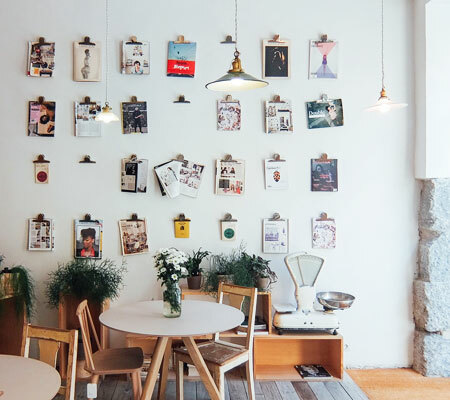 There is an experienced and vast artisan industry, manufacturers and providers are open to work with young brands and new proposals, plus the local press has a growing interest for labels made in Spain. Furthermore, living in Madrid is inexpensive compared to other European cities, which makes it easier for a new company to start a project from scratch. 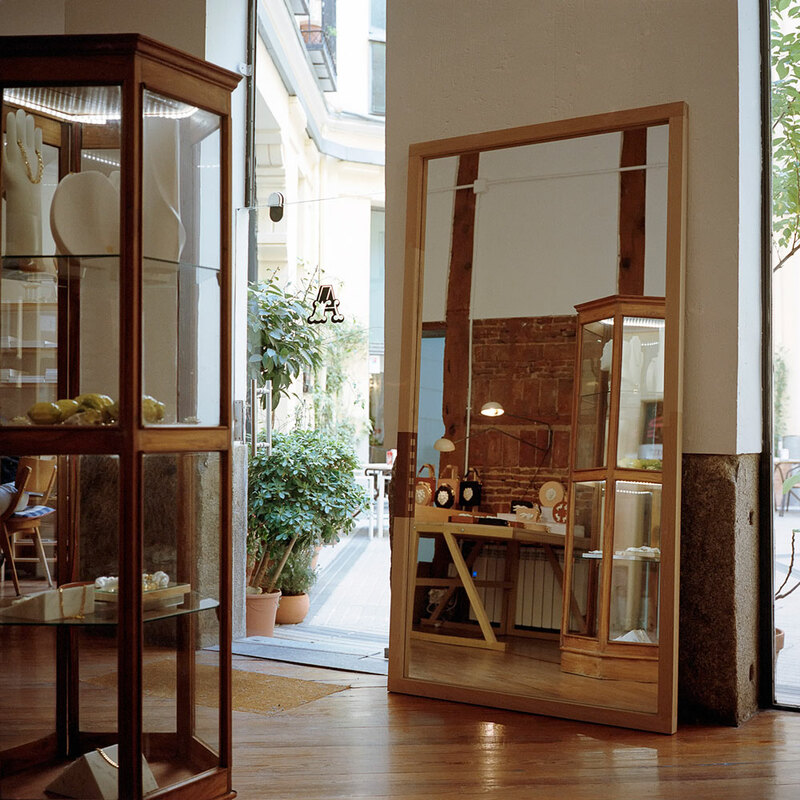 Your studio and shop is located in a central Madrid neighbourhood. What are your favourite places in the area? Andrés: Our studio-shop is located in a hexagonal-shaped patio across Café del Patio, a café where we eat practically every day – the food is good and fresh. The botanic garden is a short walk away and is a nice place to get some fresh air in the warm days of summer in Madrid. We also love to eat at Los Chuchis in Lavapiés, a restaurant run by our friend Scott.